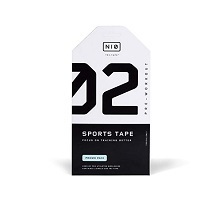 If you'd like to see if 02 Focus Tape contains substances that are banned by your sports organization's Banned Substance List, sign up now or log in. Declared Ingredients nio pre-workout proprietary blend (panax ginseng root extract, schisandra chinensis fruit extract, methylcobalamin, vitamin b12), paullinia cupana, l-tyrosine, rhodiola rosea, alpha-glycerophosphocholine, lecithin and isopropyl palmitate, huperzia serrata extract, vinpocetine. Have a question about 02 Focus Tape Use our secure online messaging system to ask our Aegis Shield Experts.